Dates for Steve Krase and Trudy Lynn's tour of Spain! 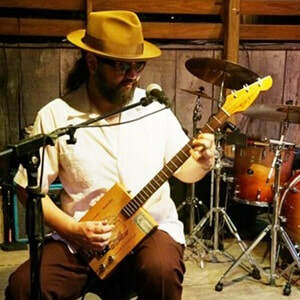 "I've enjoyed Trudy's work over the years and with Connor Ray Music she is in a great place... If you like sassy and soulful blues, then go no further - this album has some great interpretive stuff that Lynn and company deliver in their own way. I recommend this one with zero reservations!" The Ally Venable Band has been nominated for Best Blues Rock Band in this year's Independent Blues Awards! Voting is open until July 17, so submit your ballot NOW. ​"Make no mistake, Ally Venable and her band comprised of Elijah Owings on drums, and Bobby Wallace on bass, are ones to watch. I believe a meteor is rising with their talent. If you have a chance to catch a live performance, do so." 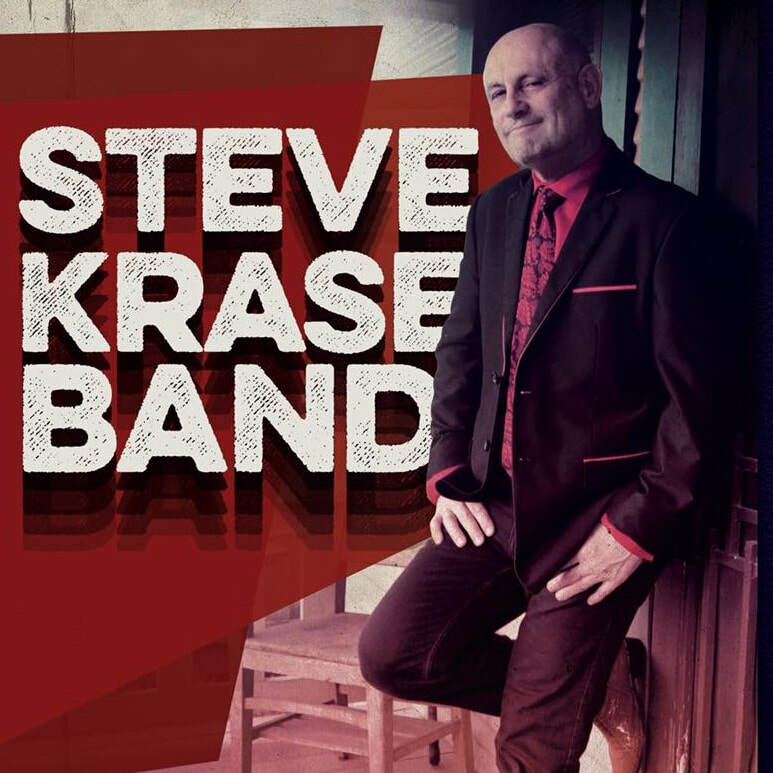 Celebrate the release of the Steve Krase Band's latest release, Just Waitin', on Saturday, May 18 at The Big Easy in Houston, TX. 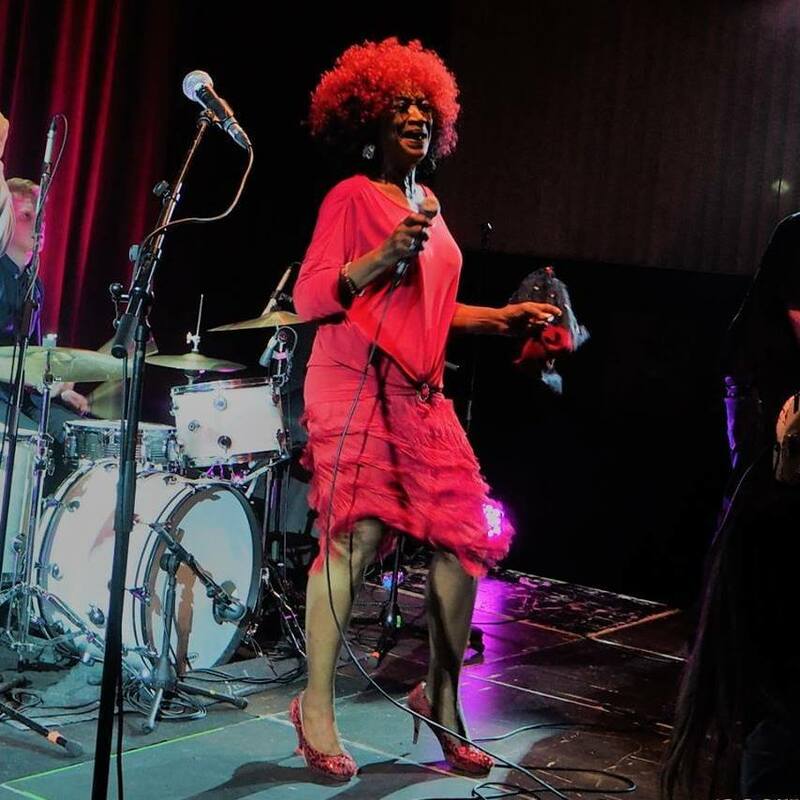 View the lyric music video for "Survive"
Steve Krase, The Mighty Orq, and Trudy Lynn are featured in the lineup for this year's Blast Furnace Blues Festival. ​Get a 3-day pass to catch all of the performances! 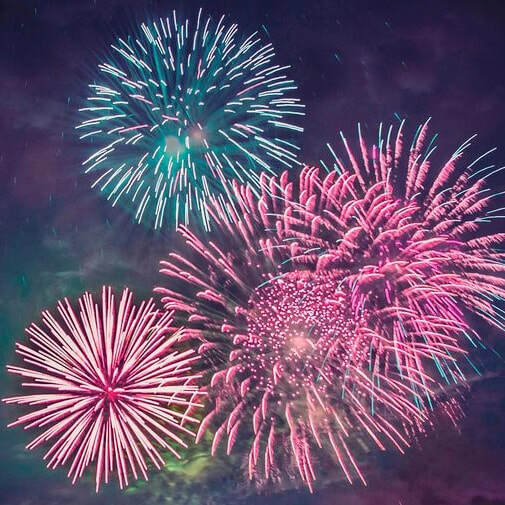 This festival is hosted at SteelStacks, a ten-acre campus in Bethlehem, PA that is "dedicated to arts, culture, family events, community celebrations, education and fun. " This historic venue offers over 1,000 concerts and eight festivals a year. 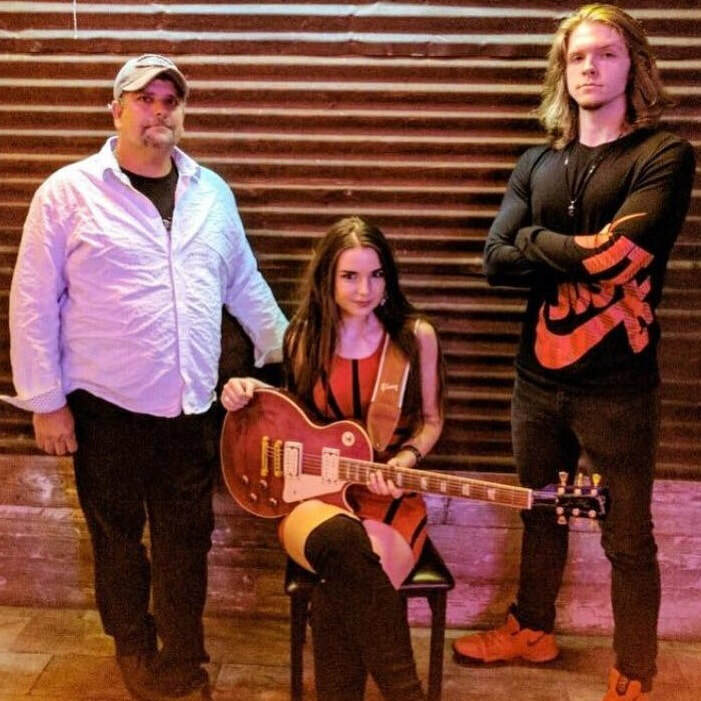 Join the Ally Venable Band for the debut of their second album with Connor Ray Music on Friday, March 9 at Poor David's Pub, with special guest Steve Krase! 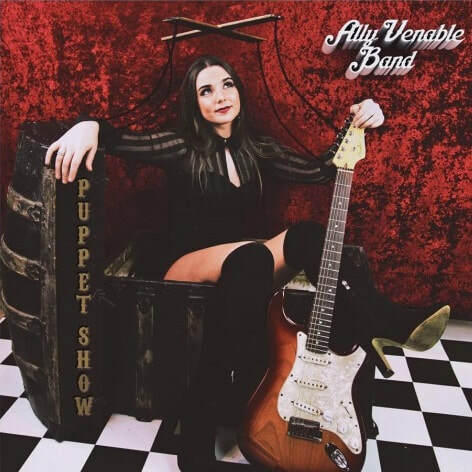 ​​"Venable is a young blues rocker that is following in the original footsteps of her female contemporaries and may well be the rising star on the horizon. 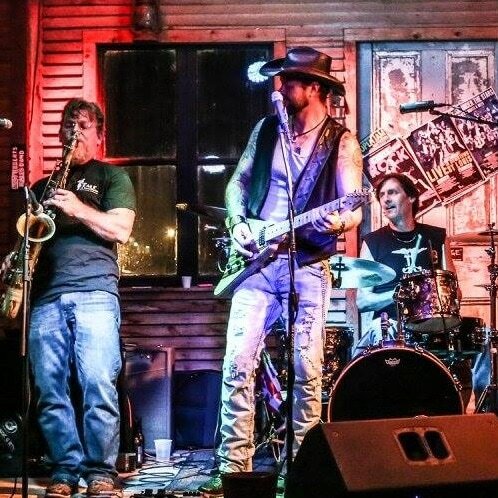 This Texas powerhouse clearly represents the future of blues music." Steve Krase is, once again, included on another Best of 2017 list! The website app.com gave their choices for 12 of the best blues and blues-rock releases of the year, naming Should've Seen It Coming ​as one of them. 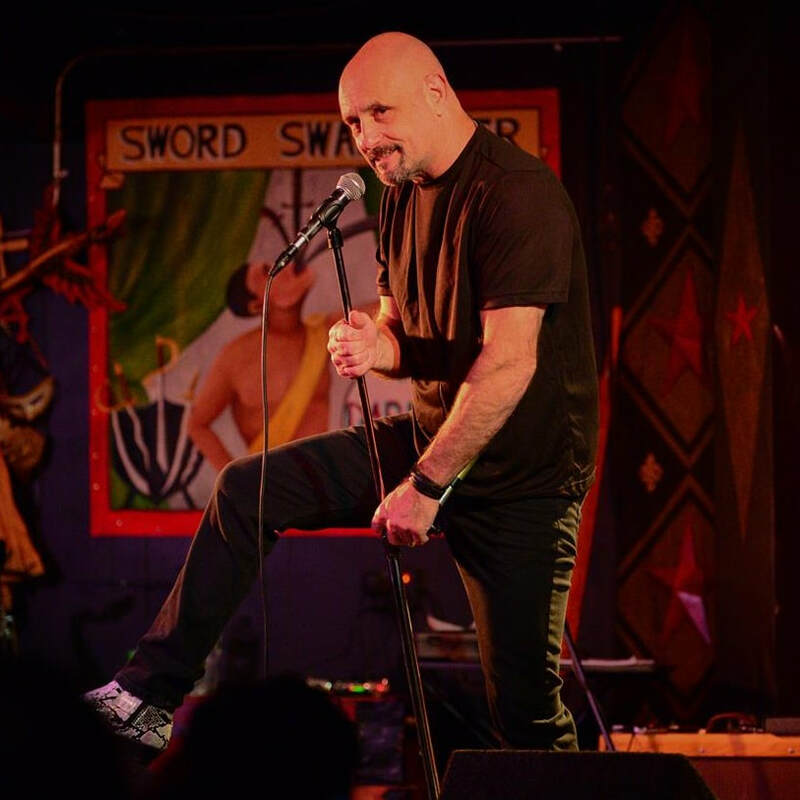 "A harmonica player and singer-songwriter who’s been living in Houston for the last three decades, Krase is an excellent singer who takes contemporary blues in delightful new lyrical directions on this album, with songs like 'World’s Still In A Tangle,' 'Repo Man' and 'Should’ve Seen It Coming.'" 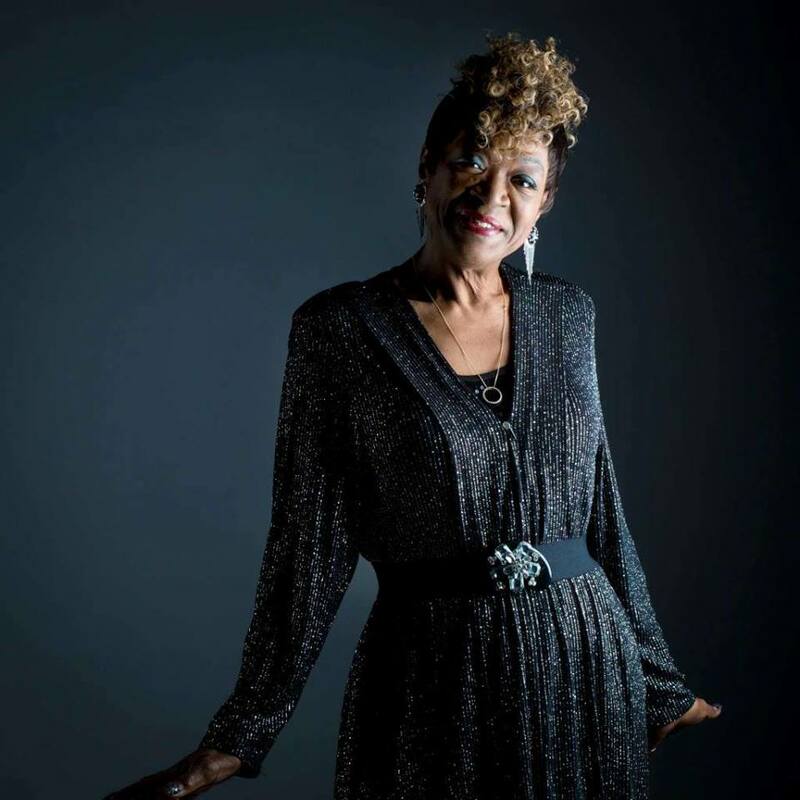 "Trudy Lynn is a powerful yet expressive vocalist who can also write an original tune that blends well with the vintage material she selects." This award is one of the greatest acknowledgements bestowed on blues musicians. Winners are determined by members of the Blues Foundation. 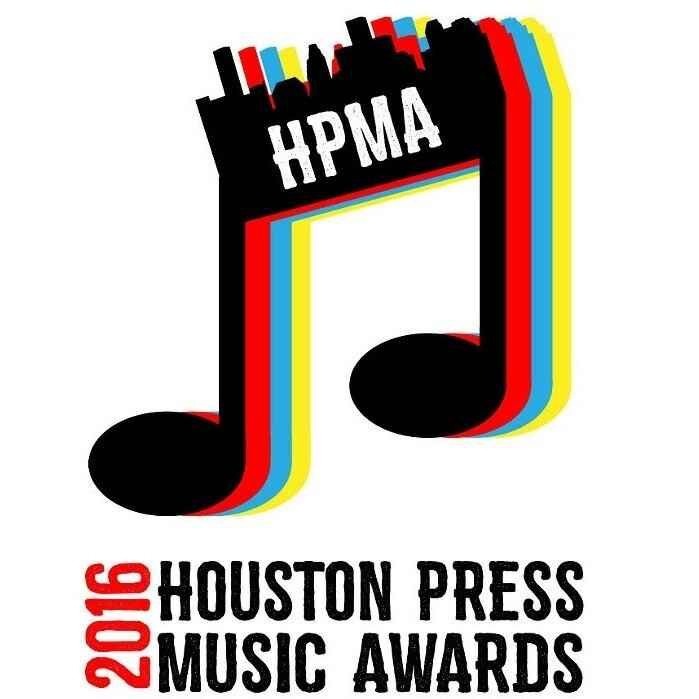 To become a member, and to vote for Trudy (or any other nominated artist), click here. The BMA ceremony is only 16 weeks away! Tickets and hotel reservations are now available. 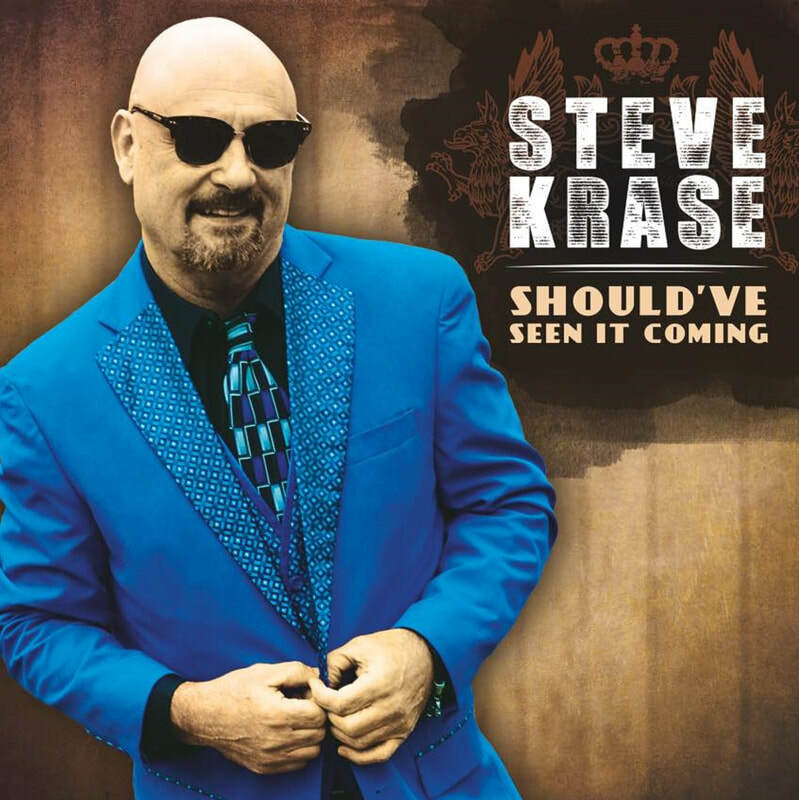 Steve Krase's latest release, Should've Seen It Coming, was selected as one of WGMC's Blues Spectrum top 30 albums of the 2017. Blues Spectrum, a program on Jazz 90.1 in Rochester, NY, highlighted the best in modern blues, and provides a platform for up-and-coming artists.Should've Seen It Coming claimed the #10 spot in their year-end rankings. 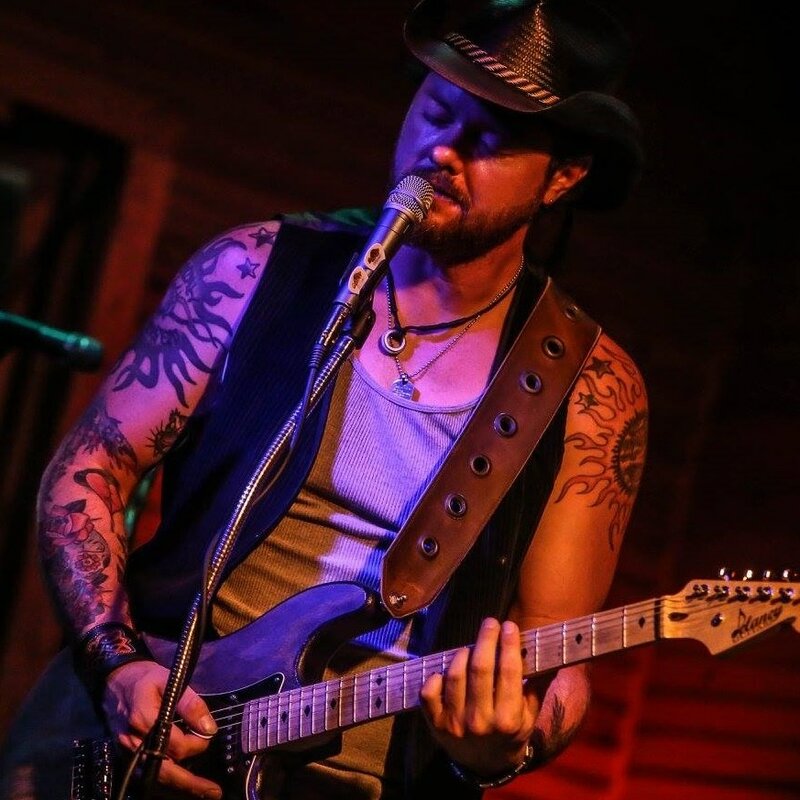 "Should’ve Seen It Coming shows why Steve Krase is so highly regarded on the Houston music scene by both peers and fans alike. Krase is a fine vocalist and musician and the band really knocks this material out of the park. 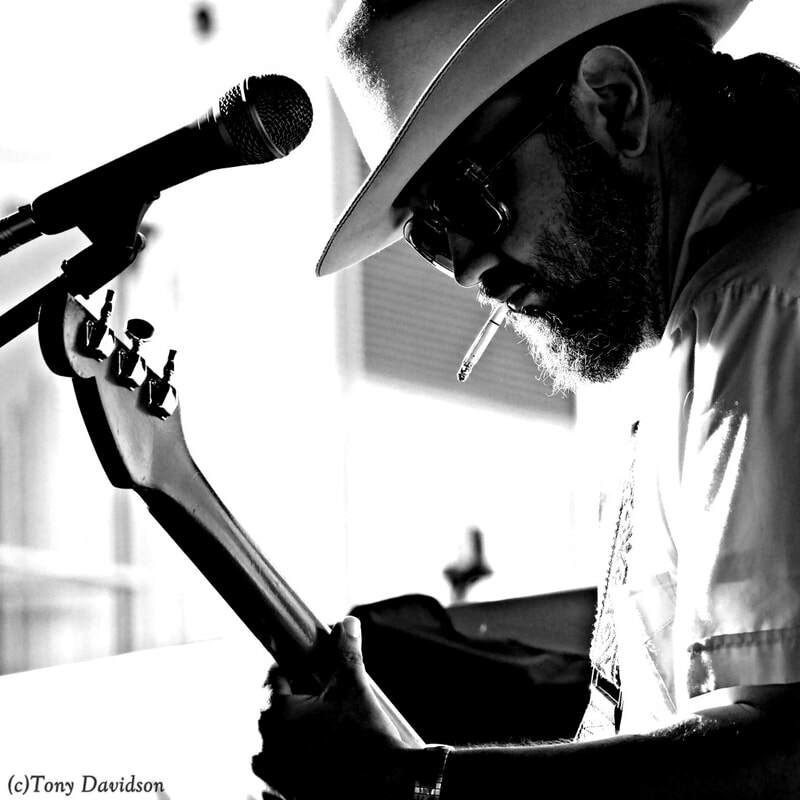 This album is a must for fans of the real deal blues." Browse new merchandise and mark your calendars for upcoming winter shows. 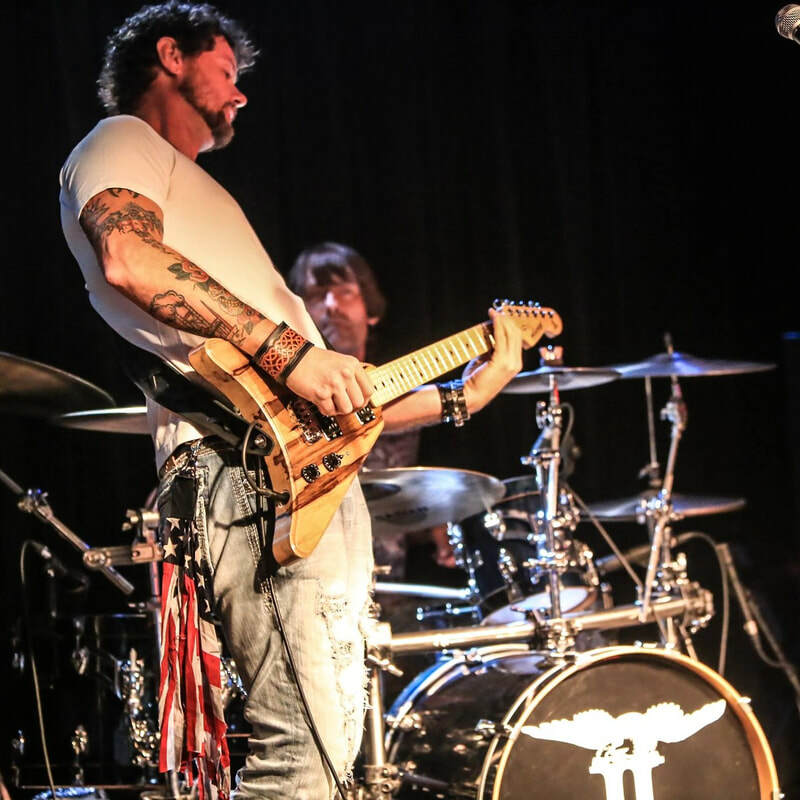 The Jeremiah Johnson Band has been invited to be the opening act for fellow St. Louis native, Mike Zito. The two guitar giants will perform at Knuckleheads Saloon in Kansas City, MO THIS SATURDAY, 12/9 at 8pm. 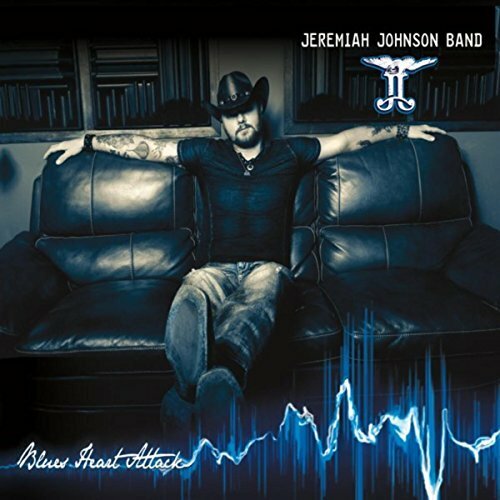 The Jeremiah Johnson Band's latest release, Blues Heart Attack, reached #5 on the Billboard blues charts. 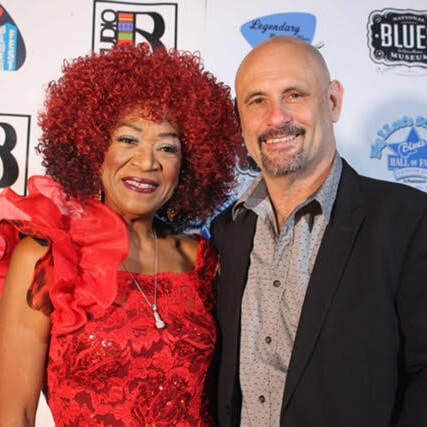 The record won TWO Independent Blues Awards, in the categories of Independent Blues Contemporary CD, and Best Funk Song ("Sun Shine Through"). This power pairing is a RARE concert experience. Do not miss this opportunity! 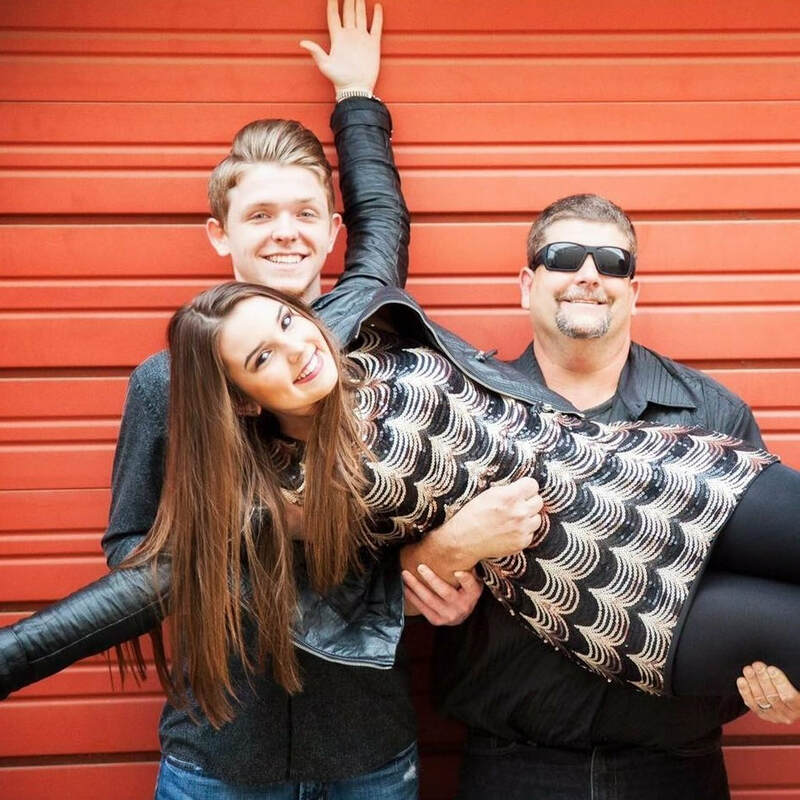 The Ally Venable Band are back in the studio to record their second release with Connor Ray Music! The record will be available in 2018. ​Stay tuned for more details. Click here to watch them perform "Sleeping Through The Storm", a new, original song from the album. JJB will kick off the night at 8pm, and will be followed by The Tony Campanella Band, and then The Steve Pecaro Band. Dates are set for Trudy Lynn and Steve Krase's Fall 2017 European tour! Rock your Thanksgiving holiday weekend with two renowned Texas guitarists, Connor Ray Music artist The Mighty Orq and Nick Diaz. On Friday, November 24, at 9am, both musicians will be featured live on the air on "Wide Open Spaces", the Americana roots music program hosted by Roark Smith on 90.1 KPFT in Houston, TX. The party continues on Saturday, November 25, 8pm, when Orq and Diaz perform again at Old Quarter Acoustic Cafe in Galveston, TX. It'll be Diaz's debut at this venue! 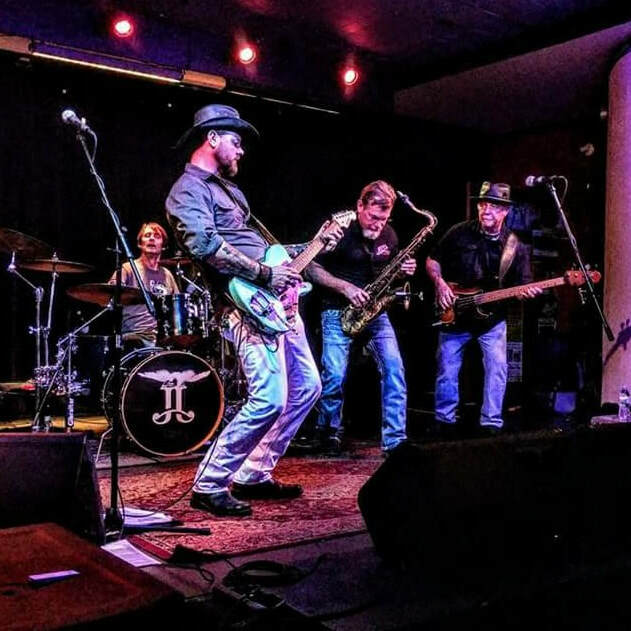 The National Blues Museum in St. Louis, MO will welcome back the Jeremiah Johnson Band on Friday, Nov. 17, as part of their Howlin' Fridays concert series. $20 for the concert and museum admission. 5pm happy hour, 7pm concert.Click here for more info. ​Jeremiah Johnson, a STL native, has been a longtime supporter of the National Blues Museum. During the September 27 and 28, 2014 filming of his docu-concert,Ride the Blues, audience donations were collected to contribute to the Museum.Click here to read more about JJ's relationship with the National Blues Museum and to view Ride the Blues. These artists both released new albums within the past year, each one receiving incredible accolades. Click here to read more about the artists. Click here for performance information. 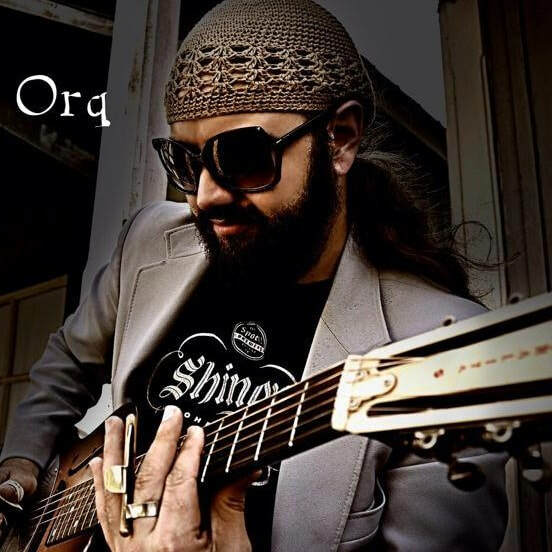 Subscribe to The Mighty Orq's YouTube page to follow his new video series, "Song of the Week". 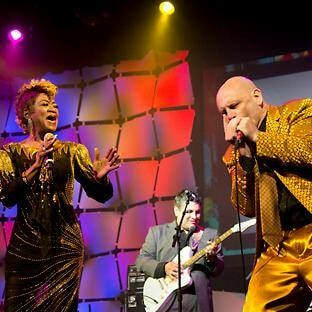 Orq will highlight the best of Blues music, including classic compositions and original tracks. His latest Song of the Week is a tune from his first album, Prayer Book, titled "Snitram's Palace". Click here to view Orq's YouTube page where you can access all of his Song of the Week clips. Don't forget to like, comment, and subscribe! During last weekend's Houston Blues Challenge finals, Mark May was awarded the inaugural Sam "Lightnin'" HopkinsInstrumentalist Award for his continuous contributions to the genre and to the community. 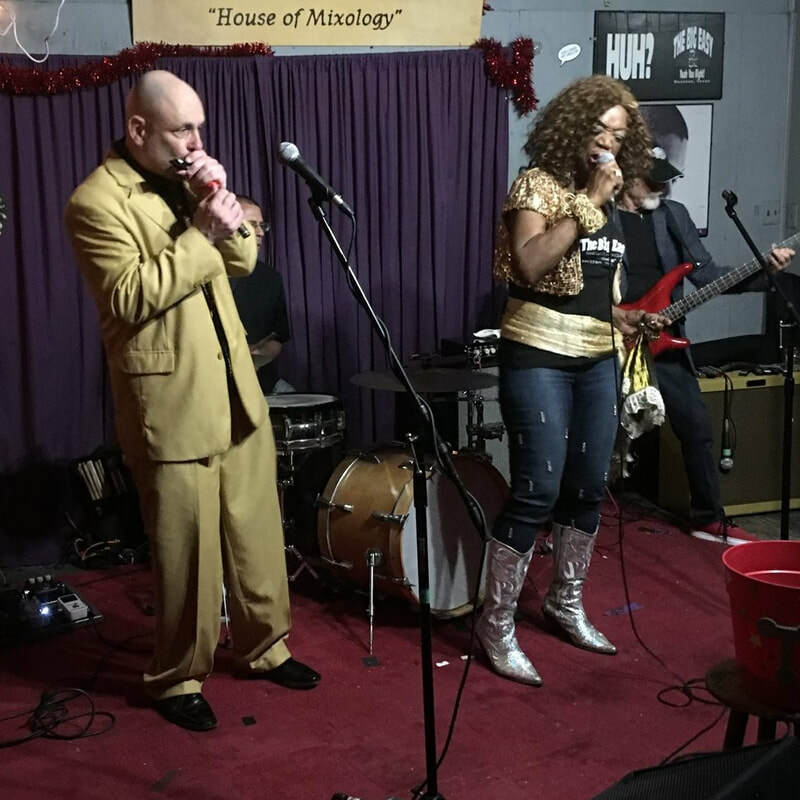 Every year, the Houston Blues Societyhosts several rounds of musical competitions, offering the opportunity for local band and solo acts to represent Houston in the annual International Blues Challenge in Memphis, TN. The overall mission of this non-profit organization "...provide for the study, research, and preservation of the blues culture and music unique to Houston, Texas and the Texas Gulf Coast. Also, to provide for the continued development of the blues tradition in Houston, Texas, and to increase public awareness of its existence and value of that tradition." Congrats to all finalists and winners! CONGRATULATIONS to Ally Venable for receiving TWO ETX Music Awards! She was awarded Blues Band of the Year (for the THIRD consecutive year! ), and won Album of the Year for her debut record, No Glass Shoes. "I want to say THANK YOU to my wonderful & amazing band Elijah Magee Owings & Bobby Wallace for sticking with me and giving it your all! I love you guys and I'm so so lucky to have you," Venable posted to Facebook. "I could not ask for better people and players to take this musical journey with me!" 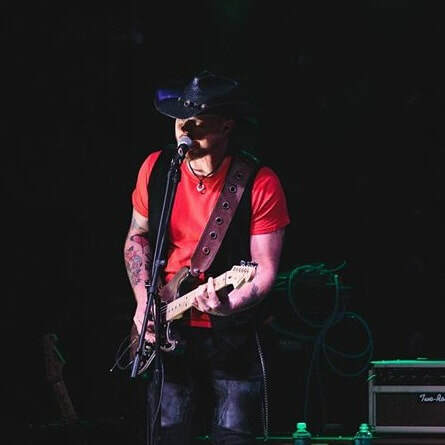 "I would also like to thank Rock Romano, Steve Krase & Chad Mauldin for putting in the studio time and contributing their wonderful talents to this album," Venable added. Click here to read Ally's full statement. 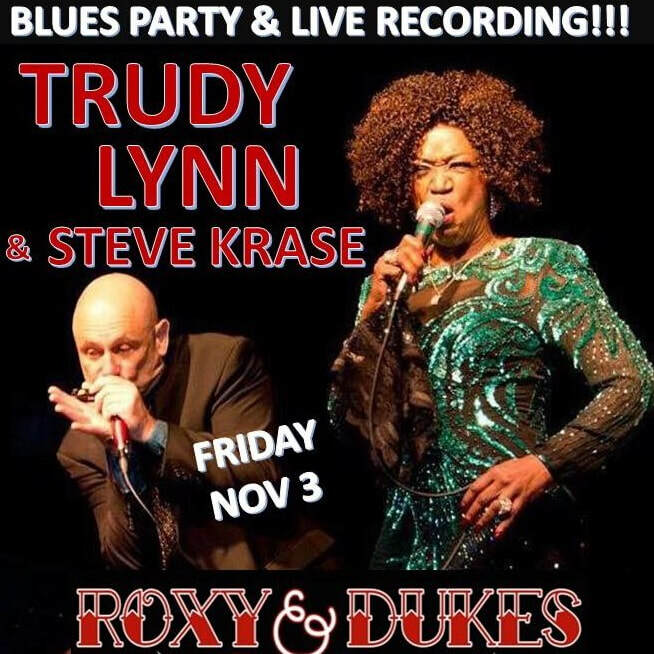 Bob Lanza and Steve Krase will return to Roxy and and Dukes in Dunellen, NJ this Saturday, 9/9 for another epic duo performance. See the two Connor Ray Music artists, along with other Texas blues greats, Rock Romano and Cindy Thrall. Doors open at 6pm, show begins sat 9pm. $15 cover. Greetings from Houston! We are happy to report that all CRM artists are safe and sound. Some experienced damage to their homes but we are helping each other. Neighbor helping neighbor is the story here. We appreciate all the thoughts, messages and prayers from around the world! Unfortunately, the 2 new releases we had planned for this year are now delayed until next year as Red Shack Recording Studio was completely wiped out. Fortunately, we were able to get all of the equipment out before disaster struck. Stay tuned as we update you on our progress! In the meantime Houston needs help! Plenty of benefits and fundraisers ahead and we appreciate everyone's contributions no matter how small. Most of all, it is the kind words and offers of support that lifts everyone's spirits that will enable us in the Houston area to tackle the monumental recovery effort that has just begun. Once again, thank you on behalf of the CRM family! Vote for the Jeremiah Johnson Band to be inducted into the St. Louis Rock and Roll Hall of Fame! You can submit one vote every 24 hours now until September 15. Click here to vote for the JJB and to view the full list of nominees. The St. Louis Classic Rock Prevention Society is a non-profit organization that "preserves, promotes and honors St. Louis' unique classic rock heritage and its place in music and pop culture history." Connor Ray Music artists, Trudy Lynn and Steve Krase, will be performing together THIS FRIDAY, at Main Street Crossing in Tomball, TX. Click here to view the official music video for "Sun Shine Through"
The ETX Music Awards recognizes all genres in Texas. 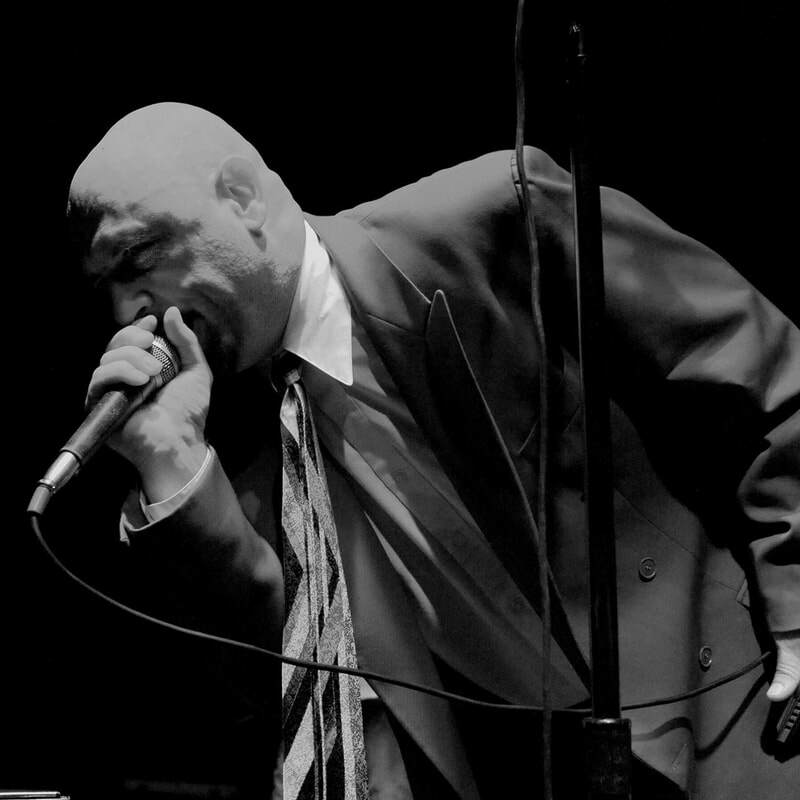 Ally Venable received two nominations, Blues Artist and Best Album (No Glass Shoes), and Steve Krase is representing Connor Ray Music in the Harmonica category. 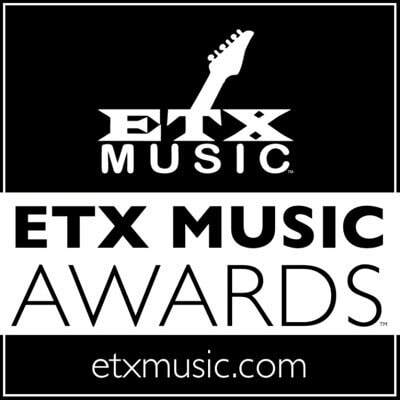 Show your support for Steve, Ally, and other Texas musicians at the ETX Music Awards ceremony on Friday, Sept. 8. Founded in Chicago in 1970, Living Blues Magazine is America's FIRST blues publication. They feature a wide spectrum of blues artists, and strive to bring focus to musicians on all levels. week of June 10, 2017. 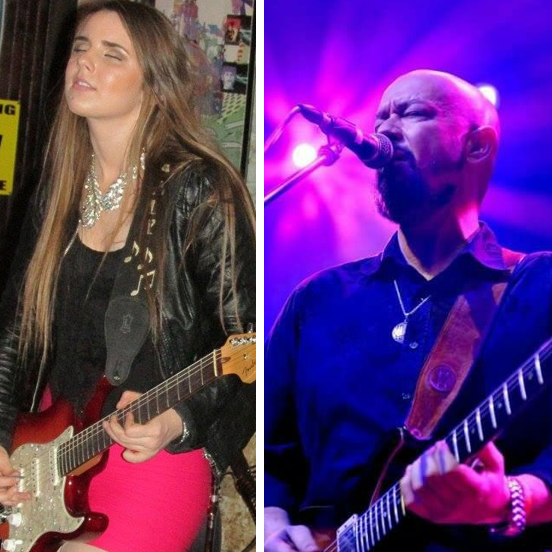 Ally Venable and Mark May have been awarded honorable mentions in this year's Blues Blast Awards! 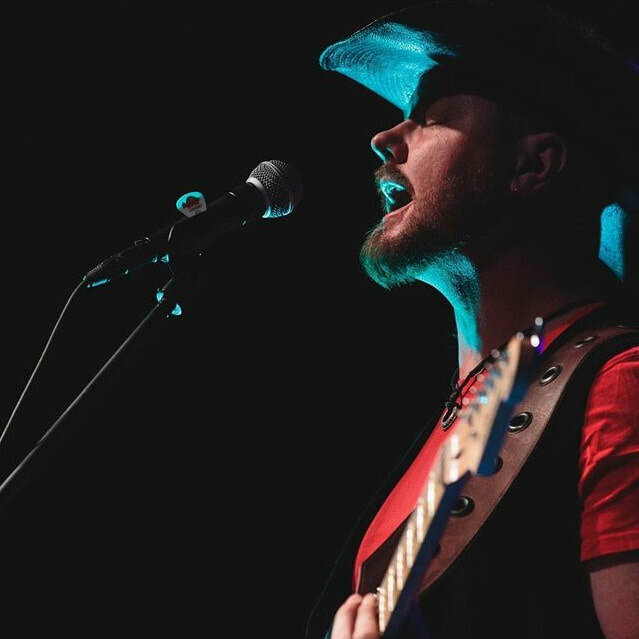 The Connor Ray Music artists are ranked with some of the biggest names in blues. Ally's sole album No Glass Shoes is listed in the New Artist Debut Album category.Blues Heaven, Mark May's latest release, is in the Blues Rock Album category. Click here to see the full list of honorable mention recipients. 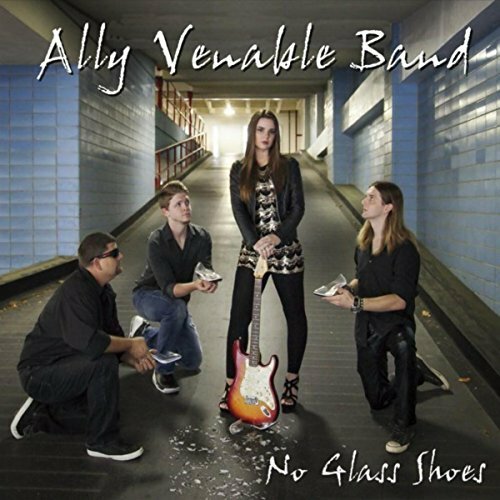 No Glass Shoes has already earned Ally Venable several nods this year, including two Independent Blues Awards nominations. 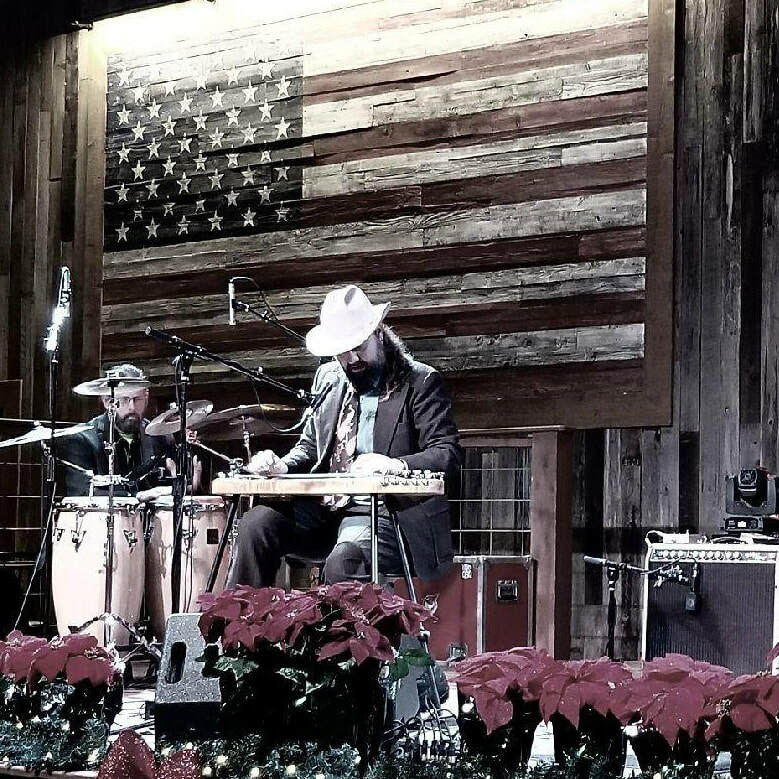 The Jeremiah Johnson Band is returning to Blues on Black River for weekend of sunshine, river floats, authentic BBQ, and GREAT blues music - this Saturday, July 15. Hear tunes from their latest chart-topping album, Blues Heart Attack, as well as some throwback hits. Don't forget to vote for the JJB in this year's Independent Blues Awards! Congratulations to Trudy Lynn for her 2017 Blues Blast Awards nomination, Female Blues Artist! The Blues Blast Awards are presented by Blues Blast Magazine, the largest FREE weekly internet Blues magazine. 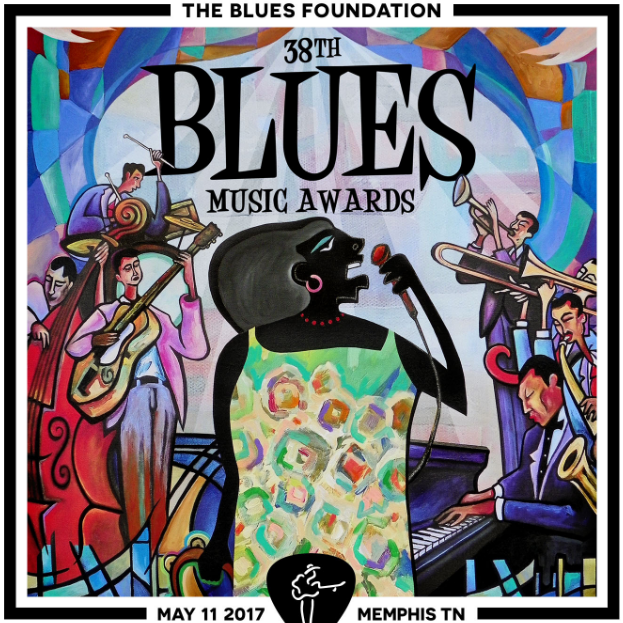 Nominees are selected by Blues industry professionals including music critics, journalists, festival promoters, music venue managers, producers, musicians and others. Fan voting begins July 1. Click here for more information and to see the full list of nominees. See The Bob Lanza Band with special guest, harp virtuoso Steve Krase, at Roxy and Dukes in Dunellen, NJ on Friday, 7/7, 8pm. Roxy and Dukes is a well-established venue that highlights artists of every genre. Get ready for good drinks, good food, and great music! 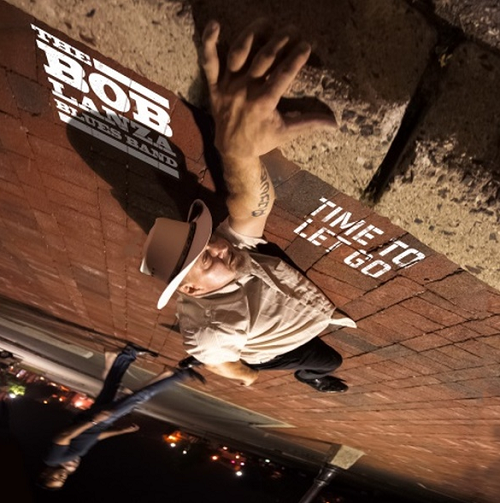 Bob Lanza's 2016 release, Time To Let Go, spent several weeks in the top 10 of the Billboard Blues charts. The album's combination of originals and covers guarentees a well-rounded performance. 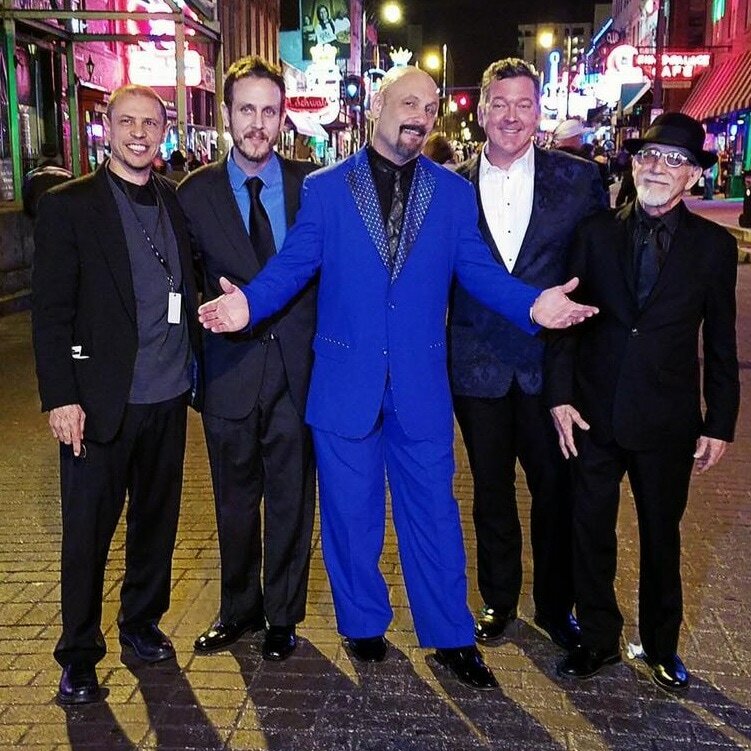 Steve Krase and his band represented Houston in this year's International Blues Challenge in Memphis, TN. The group made it to the semi-finals. 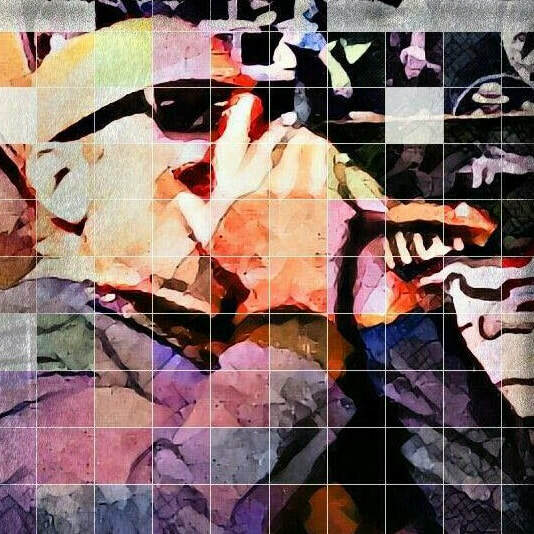 The Phoenix Blues Society says Should've Seen It Coming, Krase's latest album, is "... a must for fans of the real deal blues." "Already at the top of her game, with the freedom to do it her own way, this might be a smoking set of traditional urban blues but it's smokingly in the moment as well because her vibe is timeless. 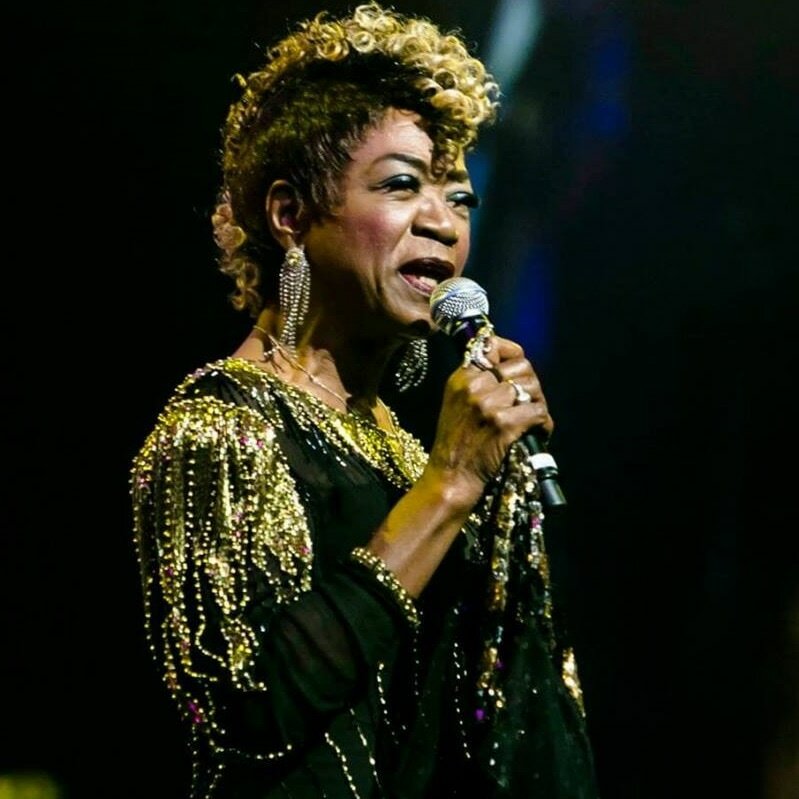 "Venable sings and plays with a confidence and swagger that belies her youth. In addition, she has excellent support from her bandmates. This is a fine debut release and bodes well for this young lady’s future in the blues." 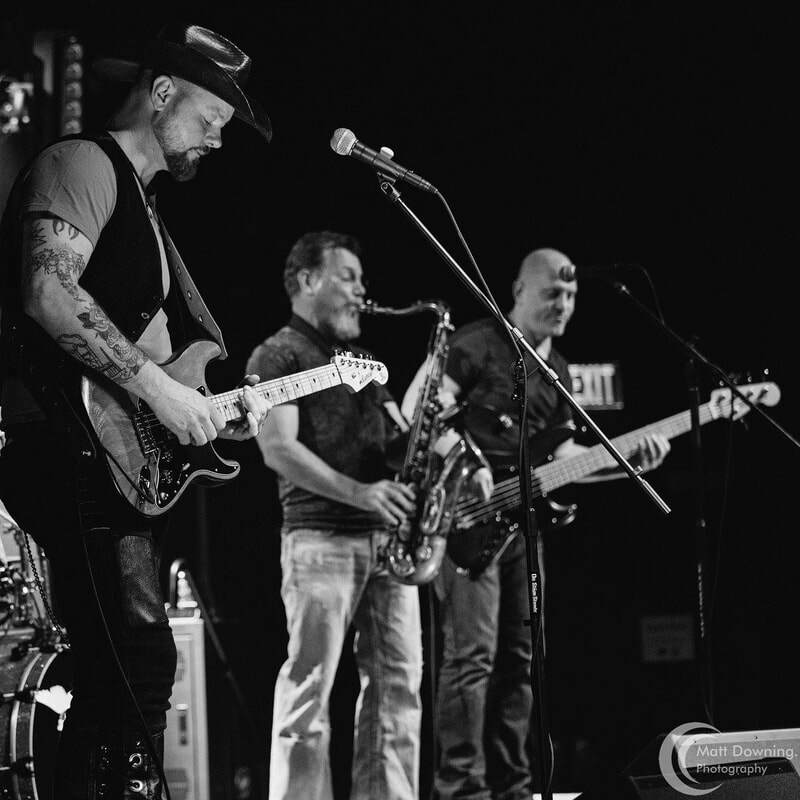 Blues Heart Attack, the Jeremiah Johnson Band's genre-defying album, earned the St. Louis group a nomination in FIVE Independent Blues Award categories. 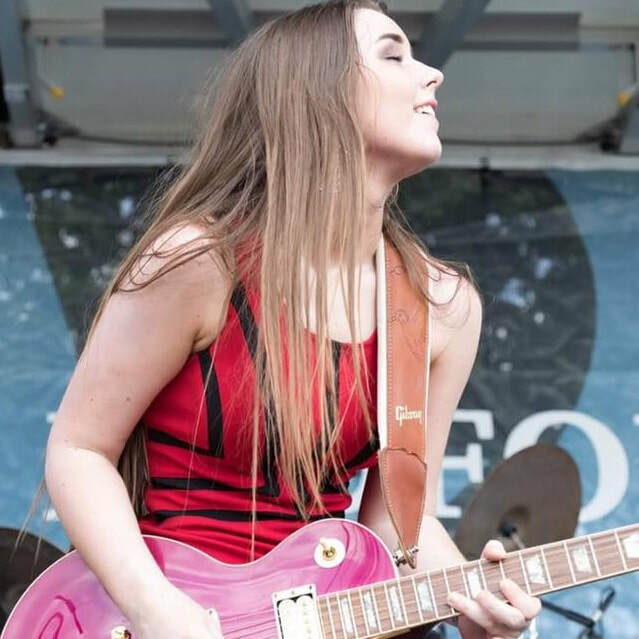 Ally Venable has been selected to represent "The Next Generation of the Blues" at the 2017 Big Pines Blues Festival, this weekend in Longview, TX. 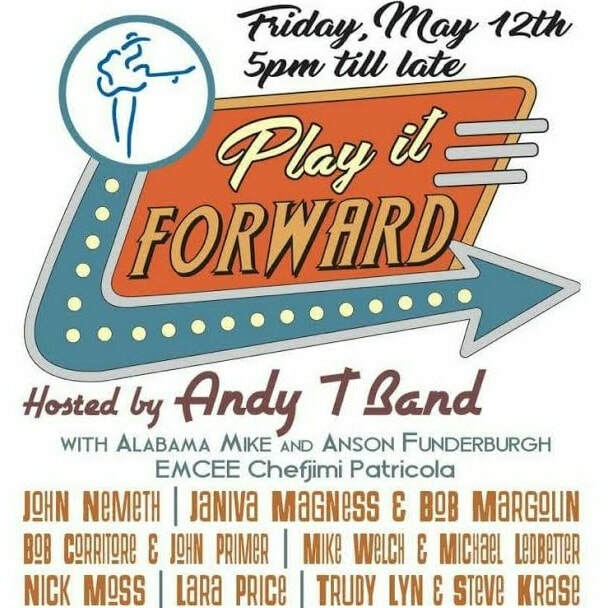 Support Ally and other up-and-coming musicians during the first night of the fest on Friday, June 2. Gates open at 4pm and admission is FREE. On Saturday, June 2, Jimmy Wallace and Ally Venable will host back-to-back workshops. Watch these guitar masters demonstrate professional technique, and get the opportunity to ask questions and receive incite into their musical careers. $20 at the door for both workshops, beginning at 1pm. 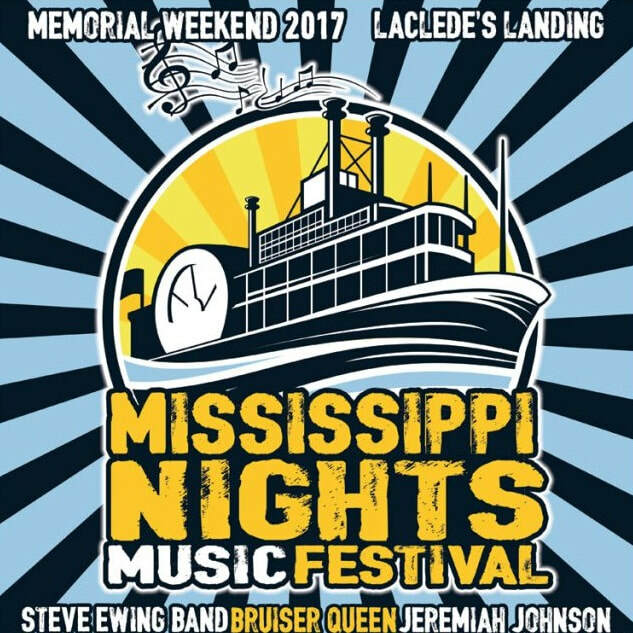 The Jeremiah Johnson Band will be closing out the main stage at the inaugural Mississippi Nights Music Festival in St. Louis during Memorial Day weekend. The festival will present at 100% local line-up, and hopes to build a new tradition for the city. Friday night (5/26) admission to the festival is FREE. See three STL bands kick off the event. 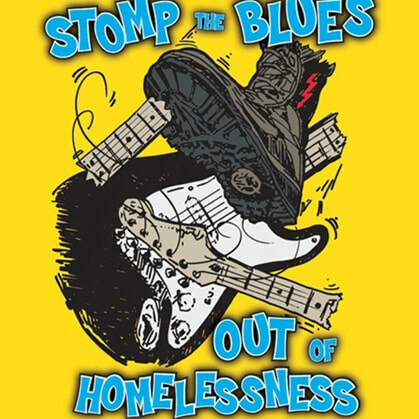 The Mark May Band will perform at the 7th annual Stomp the Blues Out of Homelessness blues festival on Saturday, May 20 in Springfield, MO. This day-long event begins at noon, with Mark May's beginning at 3:30pm. Connor Ray Music's Steve Krase and Trudy Lynn, and many other blues greats, are scheduled to perform. $10 suggested donation, with a signed guitar and other auction items available. The Mighty Orq is opening for British Blues icon, Robin Trower, at two back-to-back performances. Friday, May 5 at the Houston House of Blues, and Saturday, May 6 at Aztec Theater in San Antonio. Steve Krase and Trudy Lynn have set dates for their 2017 European tour. They will spend two weeks bringing Houston blues to Germany, Spain, France, and Norway - May 18 through June 3, 2017. The tour will feature tunes from their latest releases, Trudy's Blues Music Award nominated I'll Sing The Blues For You and Krase's Should've Seen It Coming. 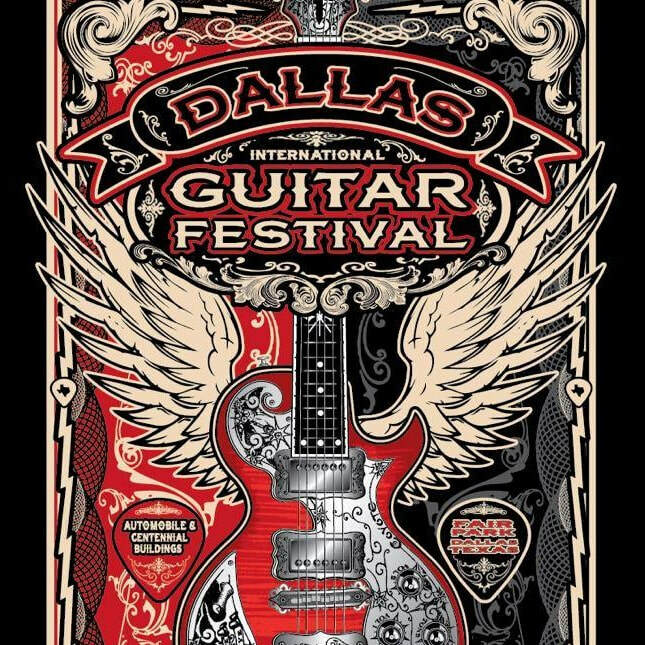 The Dallas International Guitar Festival (the world's oldest guitar fest!) is celebrating its 40th anniversary the weekend of May 5th. 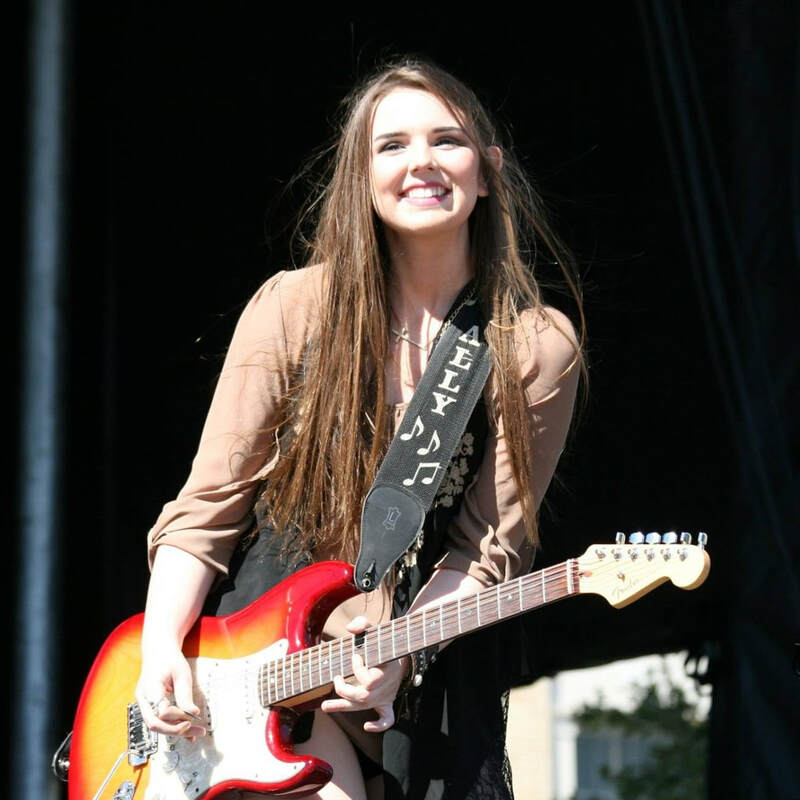 Connor Ray Music artist Ally Venable will perform Friday, May 5 at 8pm, and twice on Saturday, May 6. First, at 2:30pm on the Category 5 stage, and during the Saturday Night Jam at 8pm. Ted Nugent is scheduled to headline Sunday night! The guitar fest craze was established in Texas by Dallas guitar shop owner, Charley Wirz. 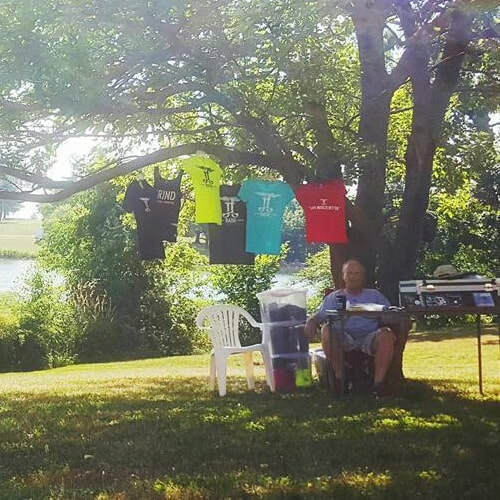 His first event, The Greater Southwest Vintage Guitar Show, hosted 10 exhibitors. Now, the fest welcomes dozens of exhibitors with thousands of guitars on display. ​On March 26th, the blues community of Houston raised over $7k in support of the Blues Foundation’s Hart Fund. The Fund provides health care for professional blues musicians in need, including performers in Texas. It has been funded by personal donations, through fundraisers and through grant support. Steve Krase sets SHOULD'VE SEEN IT COMING release date for Friday, April 21. The album will include a combination of covers and originals, with Trudy Lynn, Mark May, and Bob Lanza as guest performers. SHOULD'VE SEEN IT COMING, on Friday 3/24 at The Big Easy and Saturday 3/25 at Martini Blu Cafe in Houston. The album will be released to the public on Friday, April 21. 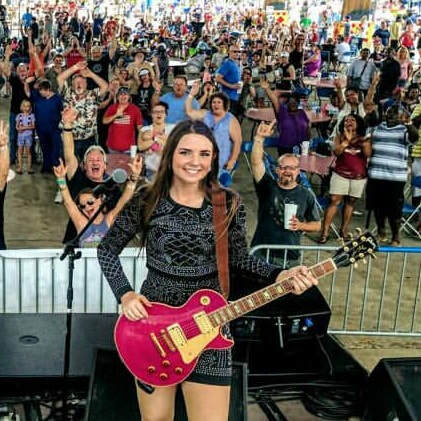 Ally Venable was named one of American Blues Scene's "10 Under 30". "[The Ally Venable Band's] most recent project, the album, No Glass Shoes, is making waves in Texas and beyond. For a young woman, still in high school, her voice is soulful, and gritty, just the way we like it." 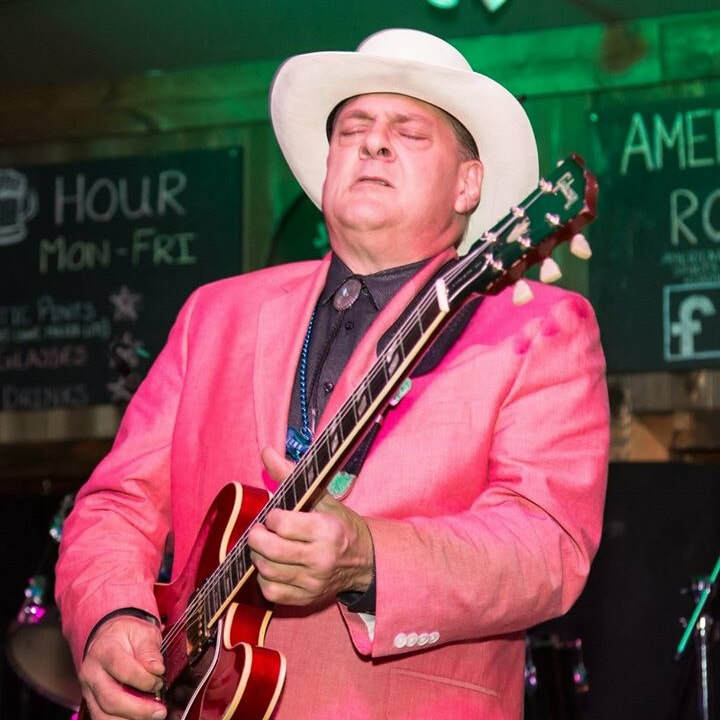 This year, Houston judges selected the Steve Krase Band for the band category, Zach Person for the solo category, and Campfire Soul for the youth category to represent the Houston Blues Society in the International Blues Challenge in Memphis. Steve Krase Band make it all the way to the semi-finals! "The Houston crowd was epic," said Krase. "I can't thank everyone enough for their support, including my awesome band!" 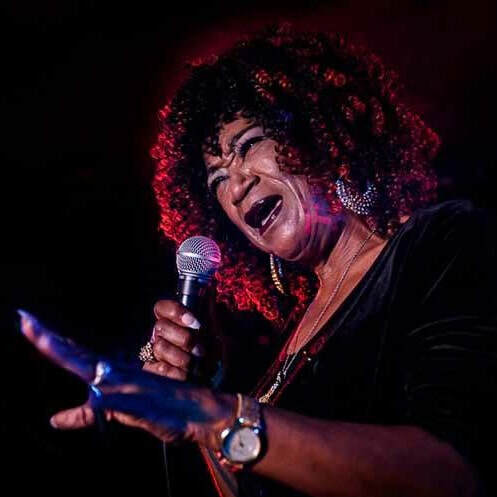 Trudy Lynn is nomiated for the Koko Taylor Award (Traditional Blues Female) in the 38th Blues Music Awards! Jeremiah Johnson Band's music video for "Sun Shine Through" from the album BLUES HEART ATTACK premieres TODAY. 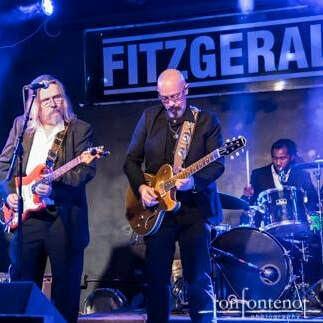 ​All three of their BLUES HEART ATTACKmusic videos were filmed and recorded live at The Beale on Broadway in downtown St. Louis. Click here to see all JJB videos. 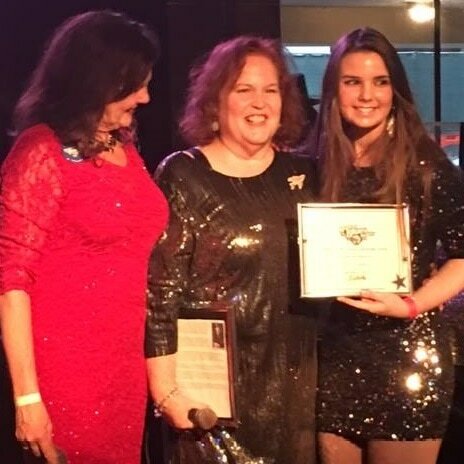 Ally Venable received the Jimmy "T-99" Scholarship, a fund presented by the Houston Blues Society to students who demonstrate promise and creativity in Blues music! Connor Ray Music recording artists Trudy Lynn and The Bob Lanza Blues Band have made the top ten with their latest releases. We appreciate all of the support! 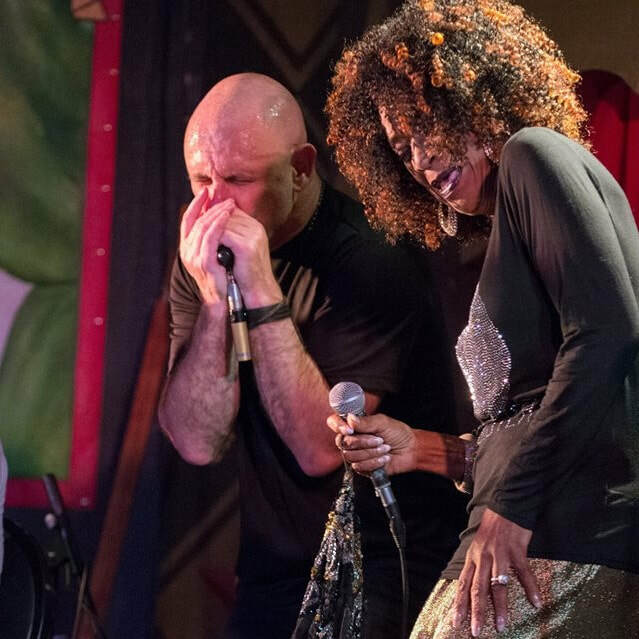 Connor Ray Music artists Steve Krase, Trudy Lynn, and Mark May will perform at the 27th Annual Blues for Food fundraiser, next weekend, Sunday, Nov. 13. 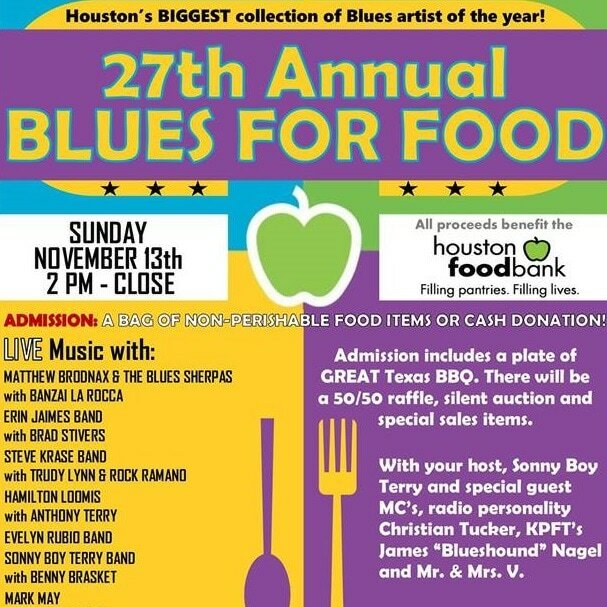 This event benefits the Houston Food Bank. 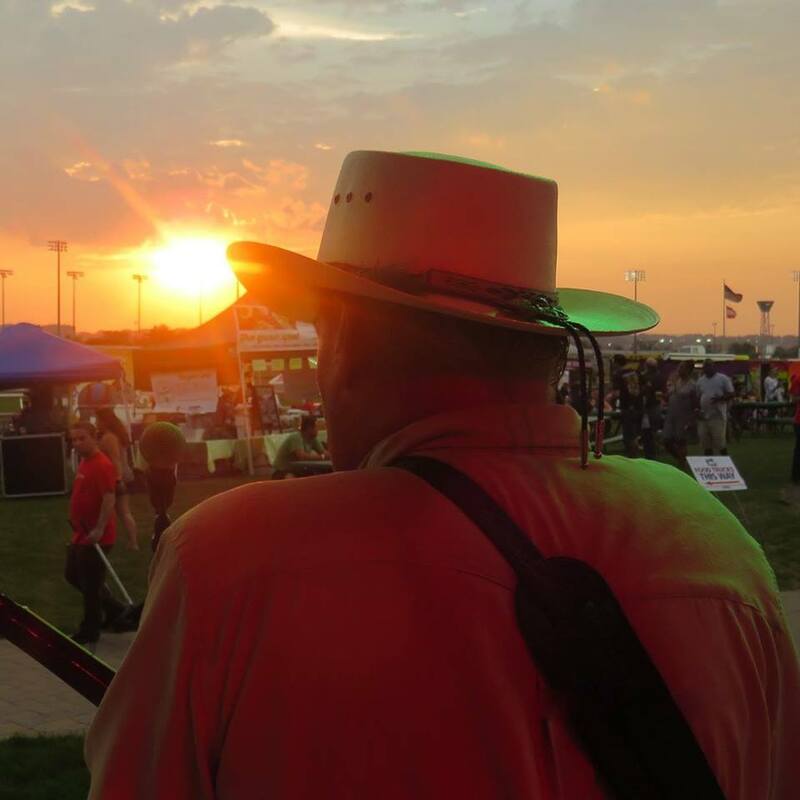 Bring a bag of non-perishable food or a cash donation, and enjoy a day of great live music and Texas barbecue. Click here for more information and to RSVP to the event. 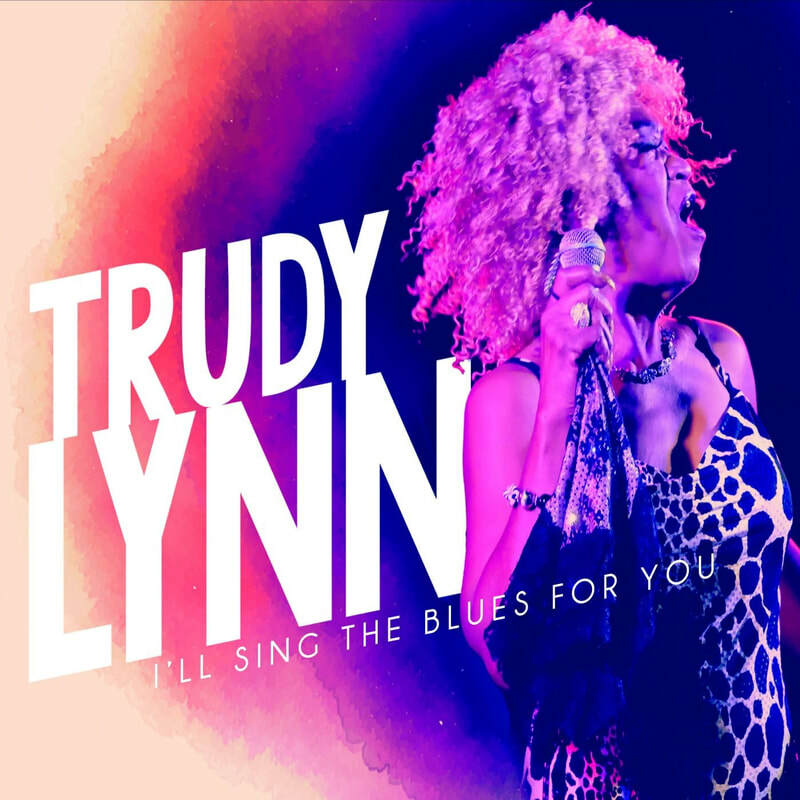 Houston blues singer Trudy Lynn releases her third album with Connor Ray Music, I'LL SING THE BLUES FOR YOU. 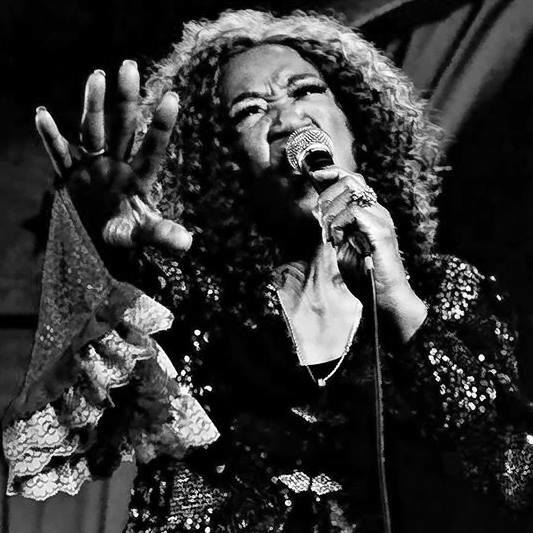 The album consists of ten tracks, including original works and interpretations of songs by Big Mama Thornton, Lowell Fulsom, Memphis Minnie, Johnny Copeland, and more. Trudy is joined by Steve Krase on harmonica, David Carter on guitar, Terry Dry on bass, Randy Wall on keyboards and Matt Johnson on drums. ​Click here to get your copy. Click here to watch all JJB music videos.